The warm summers, the thick accents and starry nights are just some of the things that make the South such a special place. 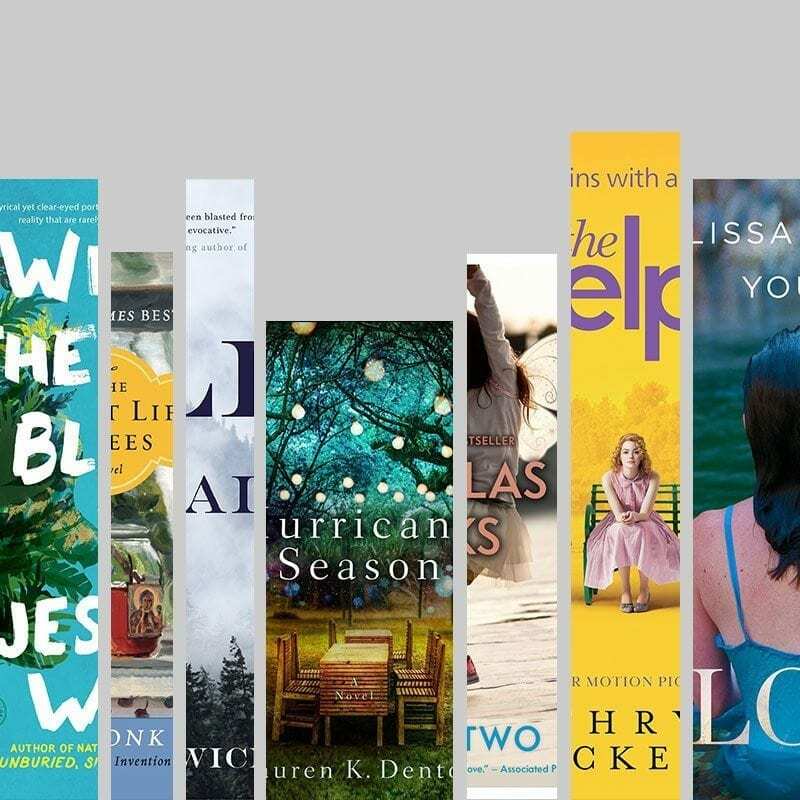 If you find yourself craving a little southern comfort in your reading selections, these books are the best of the best. In Melissa Scholes Young’s debut novel, Laura Brooks returns to her hometown for a high school reunion and soon finds herself haunted by the ghosts of her past. Caught up in small town antics and reconnecting with an old lover will prove to be too much for Laura, but is running away from the town a second time as easy as it was the first? One of three novels set in the same fictional southern town, Where the Line Bleeds is the story of a complicated family. Joshua and Christophe may be twins but they couldn’t be more different from one another. Raised by their grandparents after being abandoned by their parents, they’ll have to decide what to do when their mother and father return, hoping to reconnect. Betsy and Ty spend their days tending to their dairy farm and trying to forget their dreams of having their own children. When Betsy’s sister drops off her young daughters for two weeks, they begin to come alive with the voices of children in their home. Set in southern Alabama, the couple will have to protect themselves, the children and their farm if they want to survive an unusual summer as Hurricane Ingrid takes aim. Life is good in Charlotte, North Carolina for Russell Green. He has it all: a stunning wife, a beautiful young daughter and a thriving career. When his life is turned upside down and he is suddenly jobless and dealing with single parenthood, Russ will be forced into a journey he never anticipated. Rosaleen has taken care of Lily Owens ever since her mother’s death. But after Rosaleen insults the town’s biggest racists, Lily suggests they leave town. They end up in Tiburon, South Carolina where they meet three black beekeeping sisters and learn about bees, honey and the power of being a strong woman. Clayton Burroughs comes from a long line of outlaws on Bull Mountain in North Georgia where they run drugs and alcohol across state lines. When he leaves behind the criminal life to secretly become a sheriff in a town nearby he feels he’s on his way to a better life. But when the feds show up wanting to enlist Clayton’s help in closing the mountain, Clayton will be directly pitted against his family. After her estranged friend Skip walks into traffic with his hands over his eyes, Vrai takes his ashes and his dog home to his mother in Knoxville, Tennessee. She rescues ten-year-old Jonathan, an orphan abandoned at Skip’s funeral, and this unlikely duo become stranded at the Smoky View Motel by the Blizzard of 1993. There they find clues pointing to a possible suspect in Skip’s death. By the end of this story of mutual rescue, the lives of Vrai and Jonathan have been changed forever. The Help is the story about what life was like for a black maid in Mississippi during the ’60s. Two black maids, Aibileen and Minny form an alliance with white socialite Skeeter to write a tell-all book that will create havoc in their small southern town.